As a part of my ongoing works General Government Issue, The Department of Porridge has opened The Porridge Society as a collaborative work with Rares Craiut. The collaboration was formed after an urge to experiment with the bureaucratic format in relation to the politics of food, porridge to be specific. To follow the bureaucratic protocol we announced ourselves with titles: Anna Sörenson, Head of Department of Porridge and Rares Craiut, Secretary General of The Porridge Society. We made a public invitation to apply to The Porridge Society in mid November 2013. There was an open call for applicants and all seven of them where approved. We decided from the beginning of the collaboration that we wanted to follow up our idea with a porridge dinner for the selected group members. 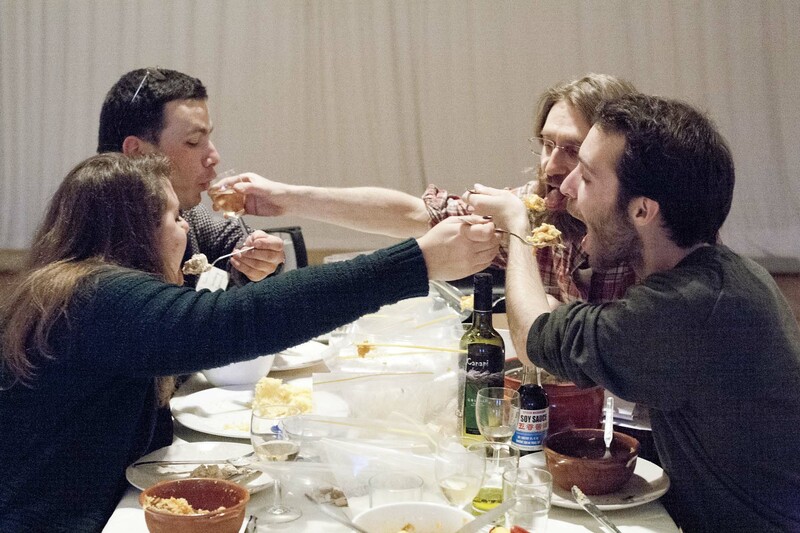 The first dinner was held at Sign 6, an artist run studio in Brussels the 23rd of November 2013. As a society, we are concerned with the cultural, economical and the practical aspects of porridge. We also constantly reformulating what porridge are and could potentially be, both on a recipe basis but also in a larger global context. Visit the Porridge Society’s website here.